Today is the 198th anniversary of the birth of Anthony Edward Foster who was my 3rd great-grandfather. Anthony was born in the Spartanburg District of South Carolina on November 18, 1814 to Archilles K. and Jane Blackstock Foster. After the trip my daughter and I made this summer, we know the Fosters, Blackstocks, Bobos, Ballengers, Yarbroughs and Miles all lived in the vicinity of Cross Anchors and surrounding communities near the juxtaposition of Spartanburg, Union and Lauren counties. Those surnames being together have importance in that some of each of those families moved from South Carolina to Georgia to Fayette County, Alabama in the 1830s to 1840s and continued to interact as neighbors (and ancestors to me) in a new location. While we were in South Carolina, Kay and I were able to visit the burial location for Anthony’s grandparents, Anthony and Sarah Golding Foster, which was on their land, and is currently right beside the two-lane highway for the area. There are only three graves there – the third being Anthony’s uncle Golding Tinsley. His parents, Archilles K and Jane Blackstock moved to Georgia and then to Alabama and their burial locations are as yet unidentified. We also visited the site where Jane’s grandparents and parents lived – the Blackstock Plantation where one of the Revolutionary War battles took place, which is probably two to three miles away, as the crow flies, although there is no direct access from the Foster place to the Blackstock place. 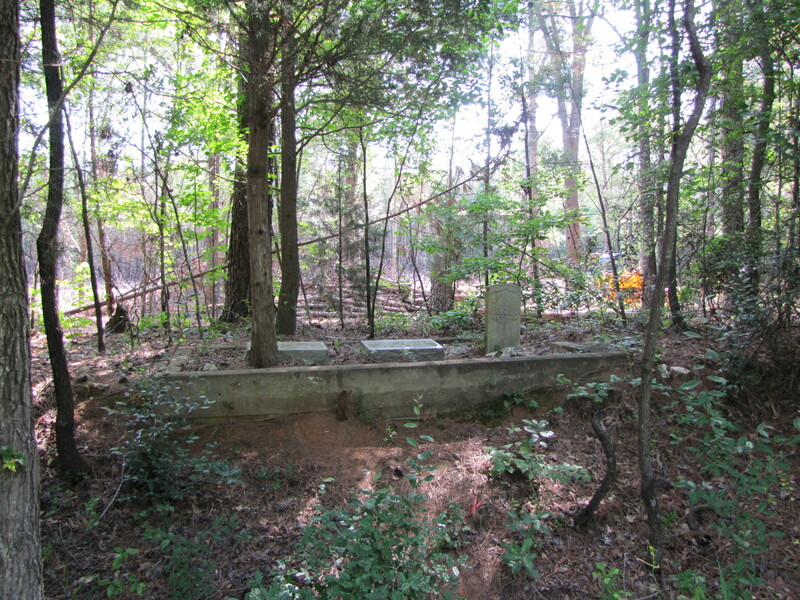 Tradition says the Blackstocks are buried on the plantation but no markers remain. Anthony Edward and his parents and brother, William E., moved to Hall County, Georgia sometime before his sister Polly was born in 1818. 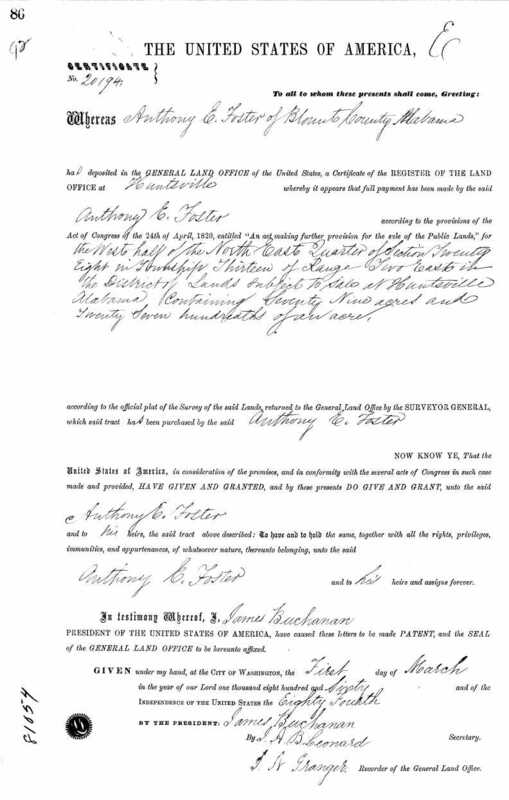 On the 28th of February 1834, Anthony married Mary King, daughter of James and Rachel King, and shortly thereafter they moved to Alabama – they were enumerated in the 1840 census in Saint Clair County as was his brother-in-law, also Anthony Foster, and his sister, Polly. By the 1840 census, they had three children: Anthony Edward Foster, Jr., born May 9, 1835 in Alabama; Sarah M. Foster born August 9, 1936 and my great-great-grandmother, Nancy M. Foster, on July 2, 1838. I have been unable to locate an 1850 census for them, although a Foster family website states: “Anthony Edward Foster’s name appears in several records in Fayette County. In 1850, he was listed in the census as head of household (Volume II, p. 14).” I have scrolled through every page of the Fayette County census for 1850 and was unable to locate a listing for him. I have also searched every page of the Saint Clair County and Blount County censuses as well and still have not seen one. None of the census pages on Ancestry.com or FamilySearch.com are labeled as Volume/Page, but are rather listed by District or Beats and Divisions. 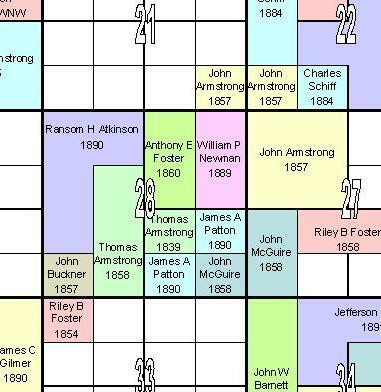 Between 1840 and 1850 more children were added to the Foster household: John W on March 14, 1840; Ellen V. on February 25, 1842; Mary M.or A. on October 1, 1843; James Monroe on July 20, 1845; and William Rkeles on October 18, 1847. As was the case for many of our ancestors, they lost children to early death. Their son, John, born in 1840, died May 6, 1841 – just over 13 months old. The family relocated to Blount County sometime between 1840 and 1850.a Foster family website states about Anthony Edward: “He was a Circuit Rider Methodist Minister in the Fayette County, Alabama,* area. He would ride his horse with his Bible in the saddle bag to rural churches to preach on weekends. The Methodist Library at Birmingham Southern College, Birmingham, Alabama, was researched for information about his ministry. No records were found of Anthony Edward Foster; however, there were no records of any Circuit Rider Ministers. 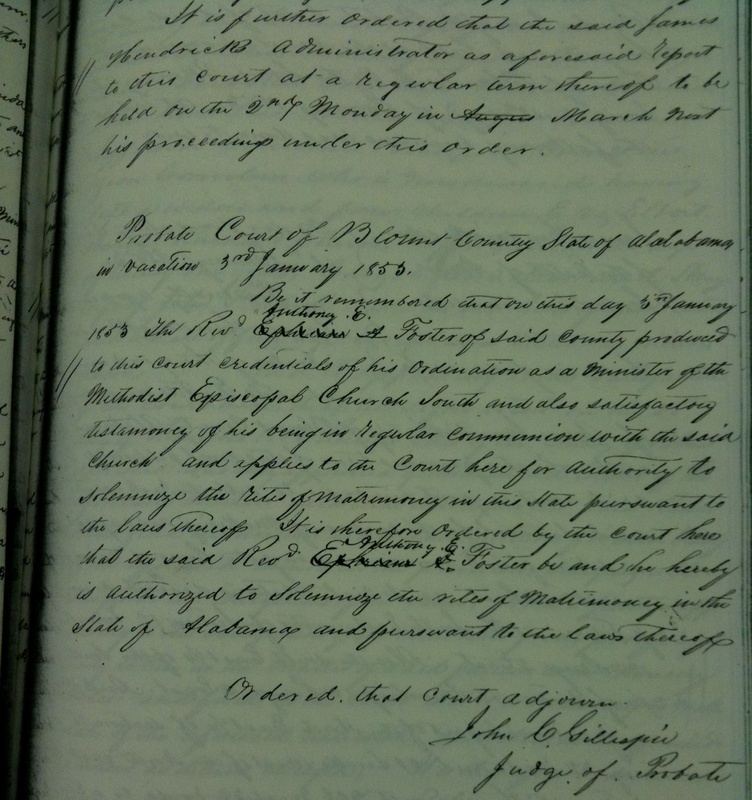 It is assumed that Circuit Riders were not included in the Methodist Church District proceedings in those days.” Although this researcher apparently did not find documentation to support the story tradition that Anthony was a Methodist minister,on our 2010 trip to Blount county, we found his1853 ordination papers filed at the courthouse. When I created a database of Alabama marriages, i listed the names of the officiating person, if listed. In doing so, I found many couples who were married by Anthony Edward Foster. In the 1850’s, another four children were added to the family, making a total of twelve: Rachael Jane on January 4, 1851; Frances Narcissa on December 28, 1852; Vienna Termelsa on December 1, 1856; and Simpson Bobo on March 5, 1858 – Simpson only lived about seven weeks, dying on June 28, 1858. During these same years, some of their children came of age and married, as mentioned earlier, my grandmother Nancy in 1855; Ellen V. married Josiah Anderson on November 3, 1858. I have so far been unable to track either Anthony Edward Junior or Sarah to adulthood. Their first known grandchild was my great-grandmother, Mary Jane Buckner, born on January 20, 1856. Additional grandchildren were William Rufus Buckner born in March 1858, Sarah M. ‘Sallie’ Buckner in March 1859, and Medora Buckner in June 1860. 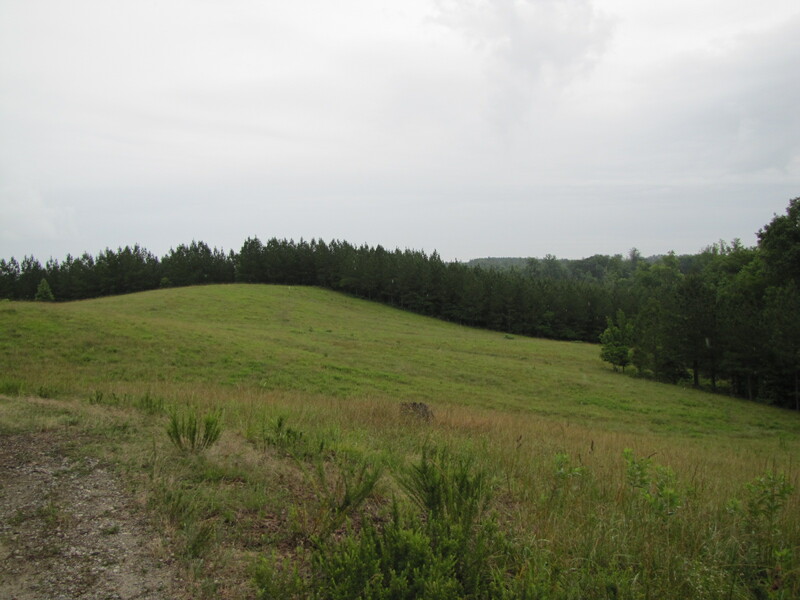 On March 1, 1860, Anthony purchased 78.47 acres of land while he was still a resident of Blount County. Their daughter, Mary married William Leander Miles on January 7, 1861.Ellen and Josiah provided Anthony and Mary with another grandchild, William Anderson born on June 7, 1861 followed by daughter Mary and William Miles bringing granddaughter Mary Frances Miles into the world on June 29, 1862. By 1862 the world in Alabama was changing drastically as the Civil War became a reality. Their son-in-laws, Josiah Anderson and John Buckner, joined with many of the young men of Fayette County and enlisted in the Confederate Army’s 41st Infantry in Captain Abernathy’s unit – Josiah on May 30 and John the day after Mary Frances was born, June 30. John died in Tennessee on September 18, 1862 and Josiah died in Atlanta, Georgia on November 1 – Anthony and Mary’s daughter, Nancy, was a widow with four children and Ellen was a widow with one son. Mary and William Miles had another daughter, Melissa Jane ‘Mollie’, on May 30, 1866 and their daughter Mary died less than six weeks later on July 6.Son William Rkeles married Rebecca Moore on November 15, 1866. Daughter Ellen remarried to Benjamin McClure in 1867, William and Rebecca had a son, William Thomas in 1867 and Nancy married her recently widowed neighbor, Joshua Watson, on January 12, 1868.Anthony and Mary’s son, James Monroe married Martha Mary ‘Louiza’ Thompson on February 6, 1868 and Rachel Jane married John Whitt Dodson, also in 1868. Although Benjamin and Ellen did not have more children, Joshua and Nancy did; their son Joshua Watson was born November 4, 1868, followed by James and Louiza’s son, Orlando Jefferson born December 8, 1868. Frances Narcissa married Francis W. McClure on January 26, 1869. William and Rebecca had Virginia Idella Foster on April 29, 1869 and James and Louiza had daughter, Ellen Eolysta on October 13, 1870. The 1870 census shows a bit of the changing dynamics of their family. Anthony and Mary had two daughters still at home – Rachael Jane and Vienna Termelsa – and they also had their granddaughters, Mary Frances and Melissa Miles, living with them. The Civil War had also been responsible for the death of my great-grandfather James Franklin Willis’ half-brother, Jabez G. Willis, and his widow Mary Priscilla Middleton Willis had married Mary Foster Miles’ widower, William Leander Miles and most censuses continued to show Mary Frances and Melissa living with family members other than their father and Mary Priscilla. It has long been a confusing issue that Mary’s death date on her head stone is December 8, 1872 yet Anthony Edward remarried Louisa J. Edwards on November 28, 1872 – two weeks before Mary’s death. Everyone recognized a problem but had no good answers for the discrepancy. As I was putting this together, I noticed the obituary appeared ten months before her listed 1872 death – the logical answer to this issue is that Mary died in December 1871 rather than 1872; by the time the magazine could be published with her obituary it was the middle of February 1872. And another marriage – Vienna married C. M. Moore in March 1871. In addition, Anthony Edward and his new wife, Louiza, added two more children to the original twelve siblings: Livingston A. Foster born March 16, 1874 and Cena E.Foster born on May 15, 1875. In addition, their first grandchild, my great-grandmother, Mary Jane Buckner, married James Franklin Willis on July 14, 1872 in the home of her mother and stepfather, Nancy and Joshua Watson. Great-grandchildren born during the decade of the 1870s were: Zelda Willis in 1873; Margaretta Willis in 1874; John William Willis in 1877; and Rufus Braxton Willis in 1878. The decade of the 1880s brought more grandchildren: Maggie Foster was born March 4, 1880 to James Monroe and Mary Louiza; James A. Cameron Watson was born after the 1880 census to Nancy and Joshua Watson; John Winston McClure was born May 28, 1881 to Francis and Frances McClure; Effie was born to Vienna and Cornelius Moore in 1881; Elbert Lee Dodson was born September 19, 1881 to Rachel Jane and John Whitt Dodson; Mattie Tiercy Foster was born January 30, 1883 to James Monroe and Mary Louiza; Mary was born to Vienna and Cornelius Moore in 1883; and Dora Alice Foster was born September 15, 1885 to James Monroe and Mary Louiza. There were also more great-grandchildren: my grandfather, Zedic Hamilton Willis born in 1881, and Thomas Richard Willis in 1883. Their second grandson, William Rufus Buckner married A. J. Collins on April 1, 1883 and produced three more great-grandchildren: John Howard Buckner in 1884; an as-yet-unidentified great-granddaughter born about 1885, and Guy Sylvester Buckner born in 1889 after Anthony Edward’s death. On October 7, 1885, Anthony Edward Foster died. He was buried next to his wife, Mary, at Mount Vernon Methodist Cemetery. Even though both Anthony Edward and Mary King Foster were dead, the generations continued: James Horace Dodson was born March 15, 1886 to Rachel Jane and John Whitt Dodson and Zada Foster was born to James Monroe and Mary Louiza on September 12, 1888. And, of course, many of those grandchildren married and produced more great-grandchildren – and the family goes on and on. Great to come across your blog! My great-grandfather is Elbert Lee Dodson, Sr. born to Rachel and John Dodson as noted. It’s great to hear from you. I would welcome any input you have on the family – family stories, photographs, details I haven’t yet come across, etc. My direct email is dmbr622@gmail.com.